Pack includes: Student file, Textbook, CD of listening excerpts, End-of-year SATs assessment test and Spellings kit. This course assumes familiarity with main learning points covered in English 11-12. There are opportunities to revise and reinforce these skills but full explanations are not repeated. 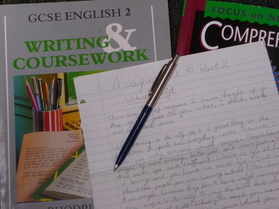 This course aims to progress the learner's reading and writing skills. As in English 11-12, there are also opportunities to enhance listening skills provided by an accompanying CD. Again, also, an additional textbook offers more exercises in the basics of spelling, punctuation and grammar. Students learn to analyse language and to produce their own transcripts, articles, letters and summaries.